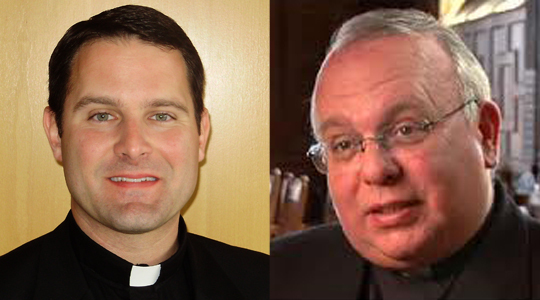 Today we bring you an encore presentation of Scot Landry’s interview of Fr. Jonathan Gaspar, Priest-Secretary to Cardinal Seán O’Malley and Director of the Archdiocesan Office for Worship, and Msgr. Andrew Wadsworth, Executive Director of the International Commission on English in the Liturgy (ICEL). As we approach the first widespread use of the new translation of the Roman Missal in English this coming Sunday, Scot discusses with Fr. Gaspar and Msgr. Wadsworth the important questions: Why are the prayers of the Mass changing? What are they changing to? How will it affect how we sing at Mass? Is it taking us back to the Middle Ages? All these questions and more will be answered as Scot Landry is joined by Fr. Jonathan Gaspar of the Archdiocese’s Office of Worship and Msgr. Andrew Wadsworth of the International Committee on English in the Liturgy, which was largely responsible for this new translation of the Roman Missal. Complete shownotes for this episode may be found at original airdate’s show page.